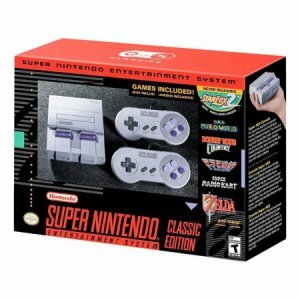 We’ve known about the SNES Classic since it was announced last year, and like the NES Classic before it, I knew I had to have one. When the NES Classic released the year prior, I had a tough time finding one like most people. It turned out that Nintendo didn’t really expect (or purposely decided to under-produce) the demand so these beauties immediately sold out and people started selling them 3rd party and really gouging on the price. Despite retailing for $60 I ended up getting mine for double the price. I was still happy with the product, and wrote about it here.